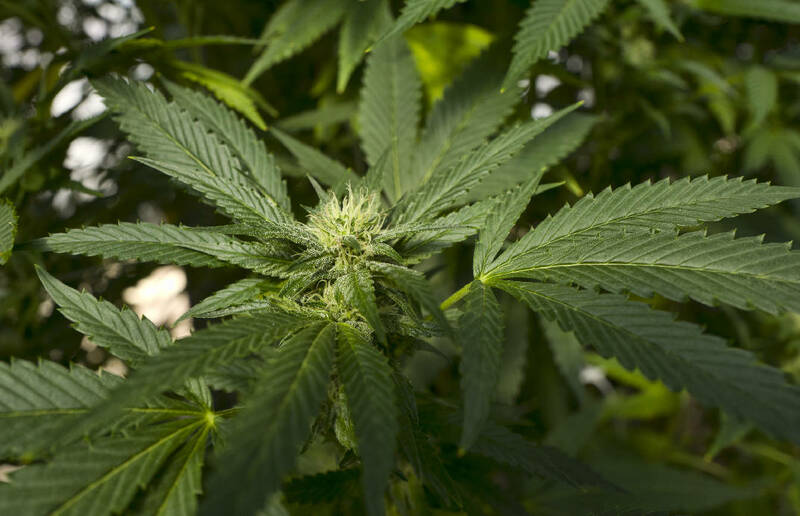 NASHVILLE — Two Tennessee Republican legislators say their colleagues should put away their fears when it comes to their comprehensive bill that would legalize medical marijuana, including patients' ability to smoke it. "Everybody's not going to be walking around like zombies," said Rep. Ron Travis, R-Dayton, who is sponsoring the legislation with Sen. Janice Bowling, R-Tullahoma. The legislation would allow patients with one or more of 23 "qualifying" conditions to obtain and use medical cannabis. Bowling and Travis shared a retooled copy of their bill with state Capitol reporters this week and said it's time Tennessee joined 33 other states that have set up programs over the last 20 years. Cooper: Is it medical marijuana's year? Similar efforts have repeatedly failed here and in almost all other Southern states. Florida is now the only state in the South that has a medical cannabis law. Lawmakers there are debating whether to allow smokable marijuana. Asked why Tennessee and the region appear so resistant to the issue, Bowling said, "Being born and raised in the South, we are a very conservative people. We are flag-waving, God-fearing, freedom-loving people." But, she added, "I think the people of the South will embrace this sooner than you realize." The bill, formally known as the Tennessee Medical Cannabis Act, lists 19 qualifying conditions to be eligible to use medical marijuana. The list includes cancer, epilepsy, Crohn's disease, multiple sclerosis and end-of-life care. Another qualifying condition is opioid addiction, a major problem in Tennessee, noted Bowling, who blamed that at least partially on a 2001 state law, the since-repealed "Intractable Pain Act," which made it far easier for physicians to prescribe painkillers. The state was flooded with "pill mills" that left thousands addicted. Patients under age 18 could qualify if they have been diagnosed with cerebral palsy, cystic fibrosis, muscular dystrophy and osteogenesis imperfecta. Bowling and Travis said they decided to include smokeable marijuana in addition to other forms of medical cannabis contained in foods, oil or capsules. In Tennessee, cannabidiol oil, or CDB, is legal if it's made from industrial hemp and has minuscule amounts of THC, the drug that produces a high. Travis and Bowling were once skeptics of medical cannabis. But Travis said his views underwent a dramatic upheaval when his fourth grandchild was struck with a yet-to-be-diagnosed illness that left her unable to see, walk or sit up. The child is now taking CBD. "I look at this and I see CBD oil works," Travis said. "There are people who need medical cannabis." Bowling said, "there are voices of concern and fear. I understand that. Mine was one of them until I studied cannabis and heard from my constituents." She noted even the Federal Drug Administration acknowledges no recorded cases of overdose deaths from cannabis. In years past, legislation seeking to legalize medical cannabis have run into a brick wall in the Tennessee Senate. Among others, Senate Speaker Randy McNally, R-Oak Ridge, a retired pharmacist, opposes it as does Sen. Ferrell Haile, R-Gallatin, also a retired pharmacist. A number of others oppose it, too. Last year, a bill co-sponsored by then-House Speaker Beth Harwell, R-Nashville, moved through committee over the fierce objections of prosecutors and police. But Bowling cites studies published in the Journal of the American Medical Association which found that states with cannabis medical programs between 1999 and 2010 experienced an average 24.8 percent drop in deaths from narcotic opioid overdoses. A 2018 study published in JAMA, Bowling said, reviewed Medicare Part D records and found an average 14 percent drop in opioid prescriptions in states allowing medical cannabis purchases. Bowling and Travis' bill won't legalize recreational marijuana. And they said doctors won't have to formally prescribe the drug nor require pharmacists to fill prescriptions for cannabis. "We do not want to put our doctors and pharmacists at risk" of losing their licenses, Bowling emphasized. Instead, their bill would set up a system to require qualifying patients to obtain a "cannabis card" from a doctor, physician's assistant or a nurse practitioner. It also creates a stand-alone nine-member state commission that would begin to issue cannabis cards as early as 2020. The legislation creates a "FastTrack" program for two types of licenses, one for rural areas and one for urban areas. Both are "vertically integrated" licenses authorizing the holder to engage in everything from cultivation to sales.